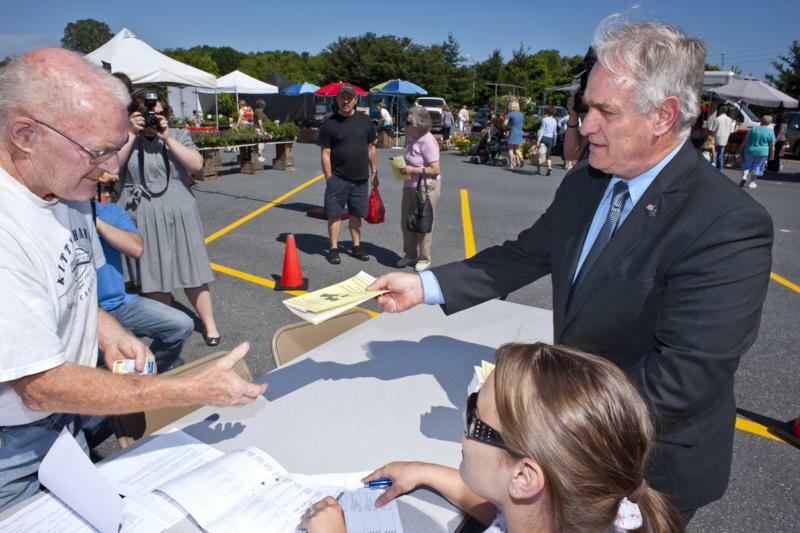 Eligible older adults and families with children can receive vouchers to help them buy fresh, local produce at farm markets and farm stands statewide, the Corbett administration said today. The Pennsylvania Turnpike Commission is partnering with AAA to urge Memorial Day motorists to keep both hands on the wheel as they travel the state's roadways over the holiday weekend. 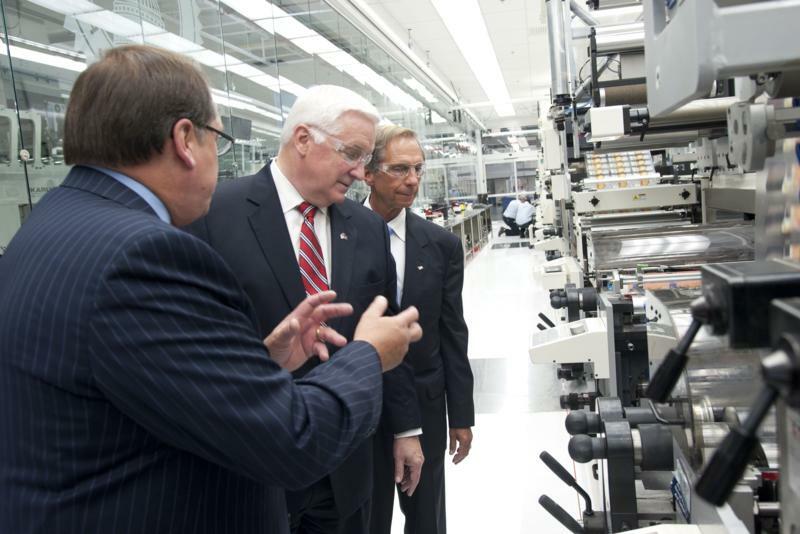 Governor Tom Corbett today toured the National Label Company, highlighting his commitment to growing the state's economy by helping create a climate where businesses can succeed and create jobs. 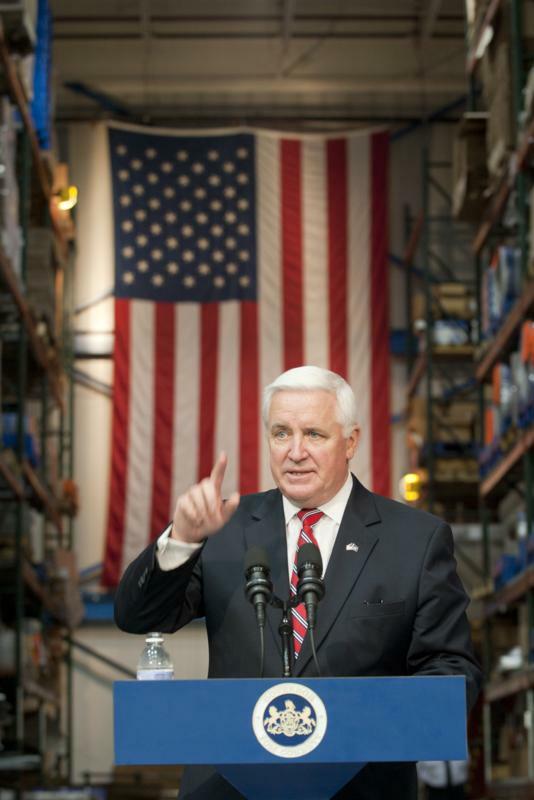 Governor Corbett gives keynote speech at the 152nd commencement ceremony in Reading, PA. 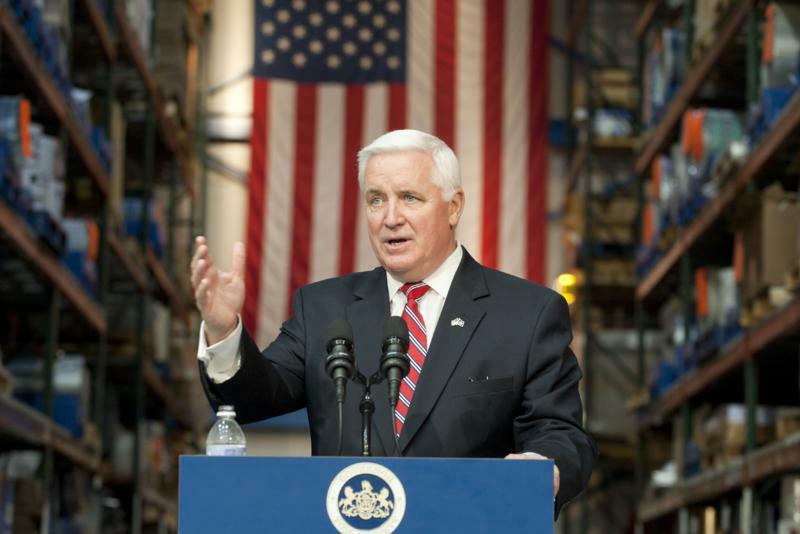 Governor Tom Corbett was discharged today from Pittsburgh's Allegheny General Hospital, where he underwent back surgery Monday morning. 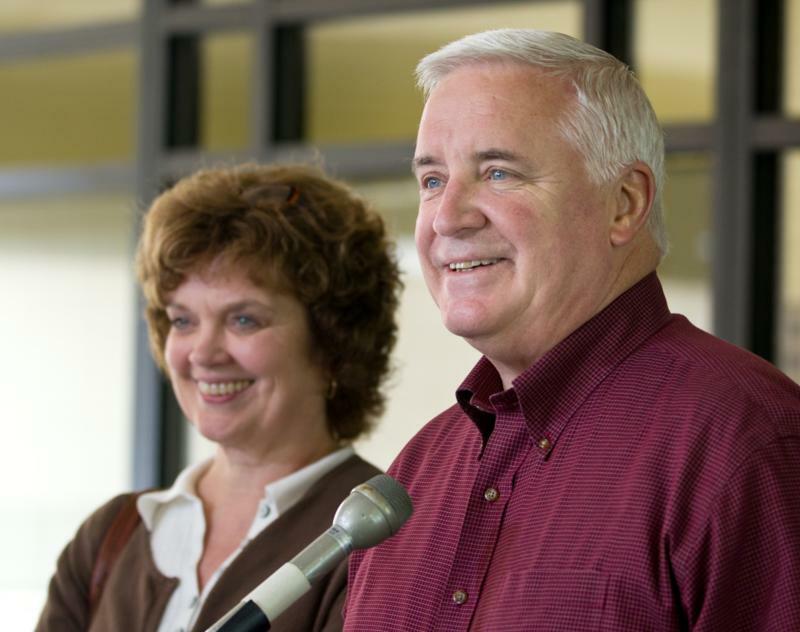 Governor Tom Corbett was discharged today from Pittsburgh's Allegheny General Hospital, where he underwent back surgery Monday morning. 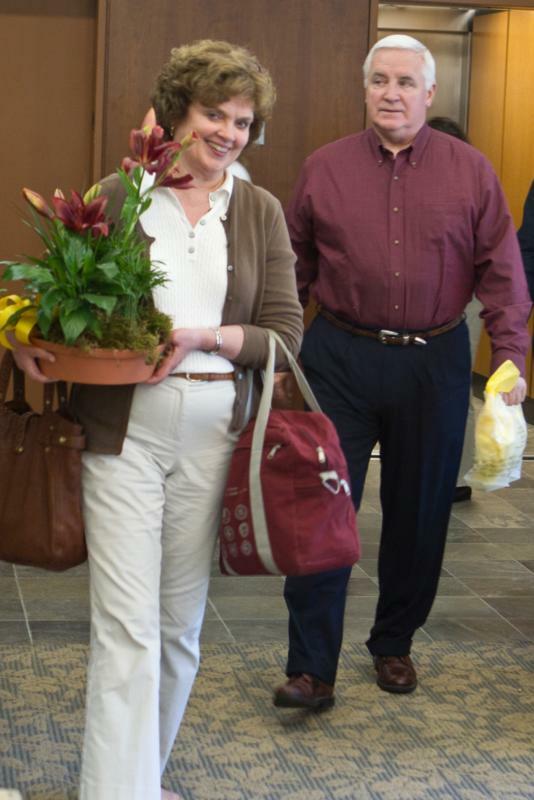 Corbett will continue working from his home in suburban Pittsburgh while recuperating. 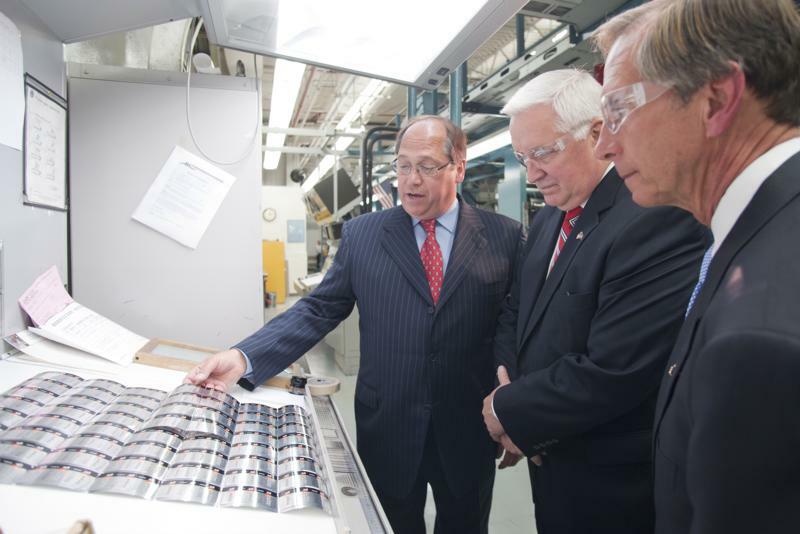 He is expected to return to Harrisburg by the end of the week. 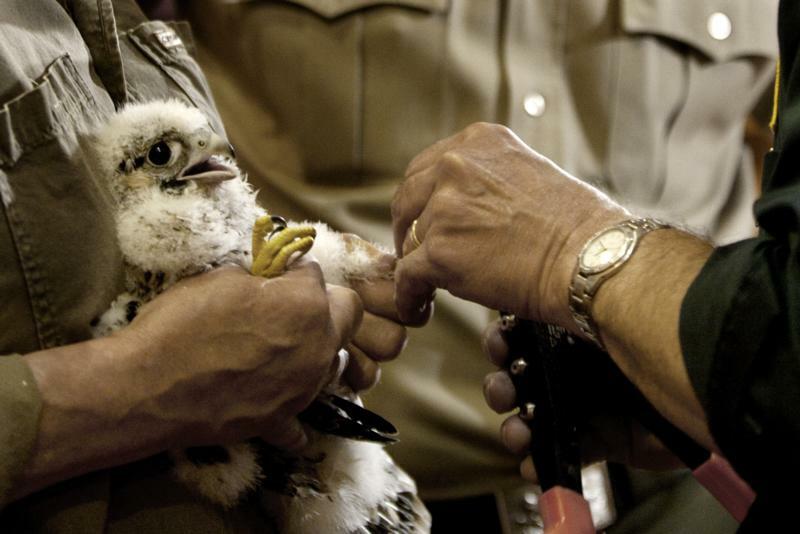 The Department of Environmental Protection and Game Commission today hosted a Peregrine falcon banding event to help students learn about efforts to restore the species. 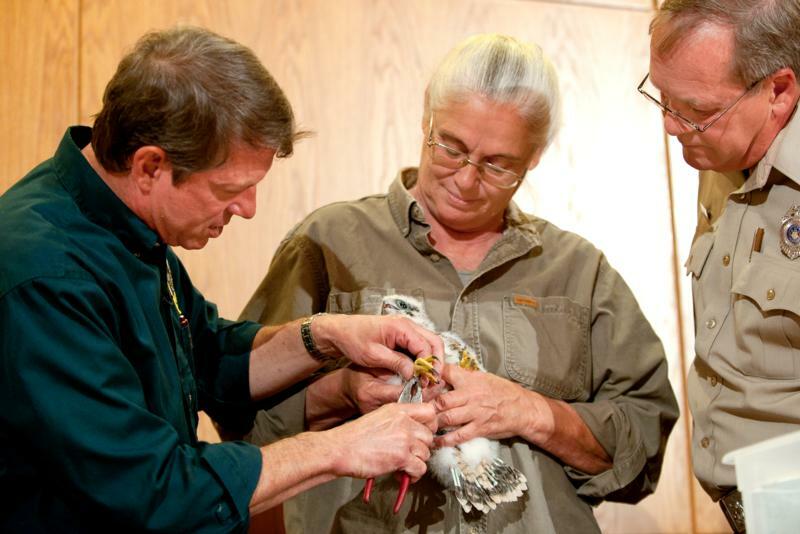 More than 150 students and teachers from Harrisburg-area schools watched the placement of the identification bands on the young falcon's legs. 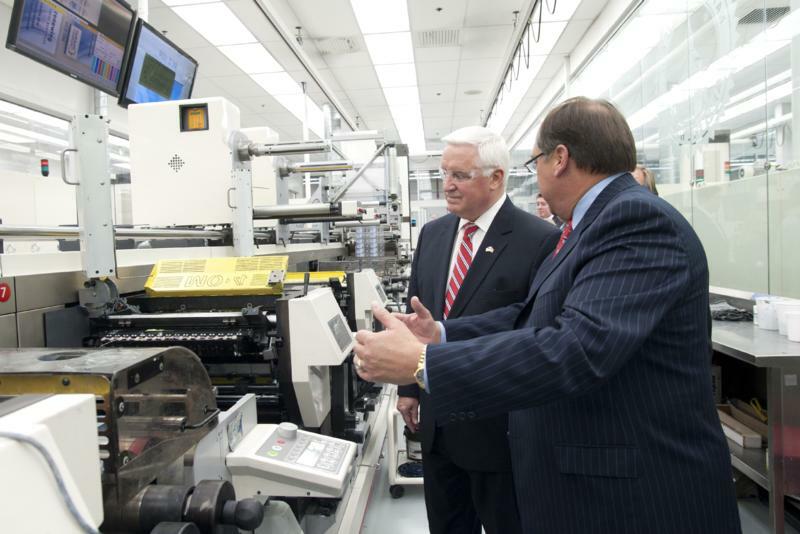 Governor Tom Corbett underwent successful back surgery this morning at Allegheny General Hospital in Pittsburgh. 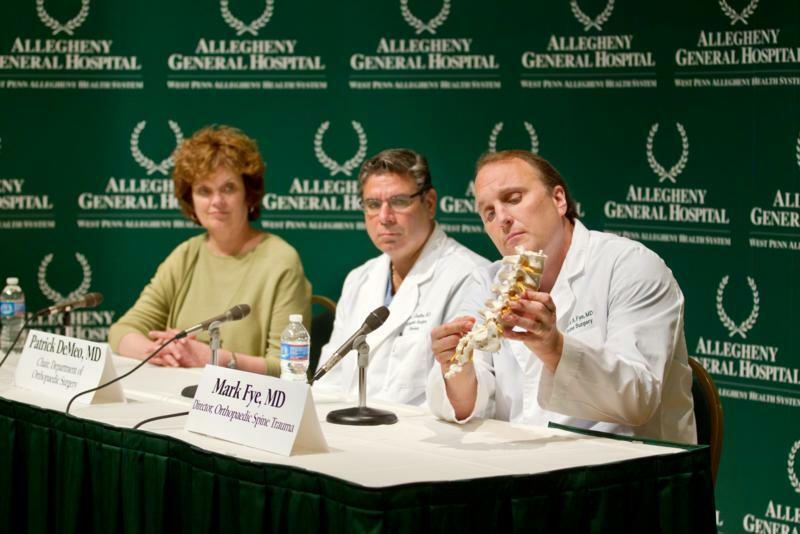 The surgery, performed by orthopedic spinal specialist Dr. Mark A. Fye and orthopedic surgeon Dr. Patrick J. DeMeo, was considered to be routine for the treatment of spinal stenosis. The surgeons described the procedure as successful and said Corbett was resting comfortably. 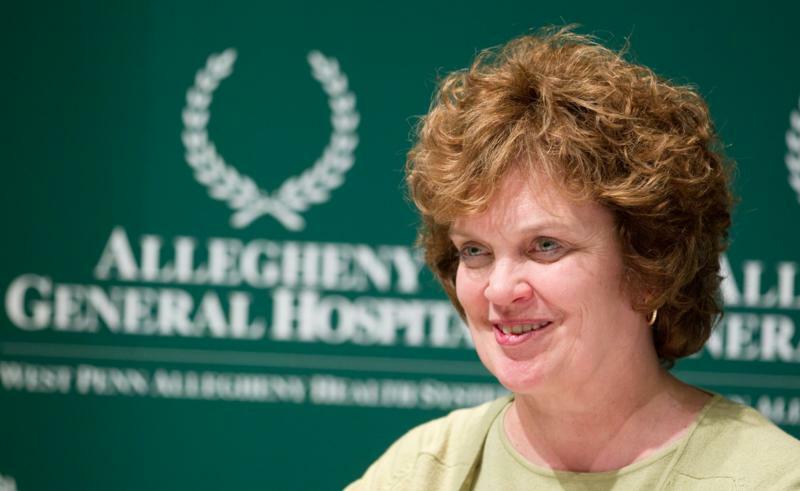 Corbett's wife, Susan, was at the hospital during the procedure. 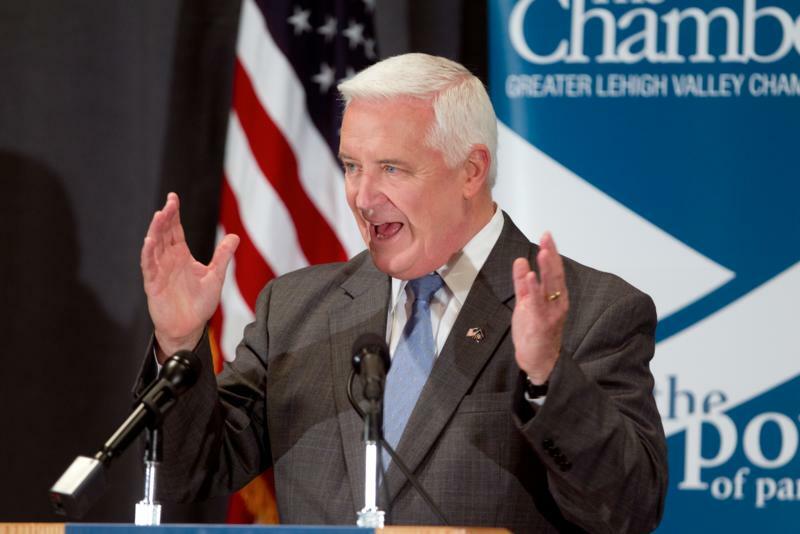 Governor Tom Corbett adresses The Greater Lehigh Valley Chamber of Commerce during a luncheon today at DeSales University.